This is Oaktree Sam. It's hard work moving cattle. Oaktree Sam was bred on the same farm as my Oaktree Monk! Ticked ("T/T") is incompletely dominant to non-ticked ("t/t"). 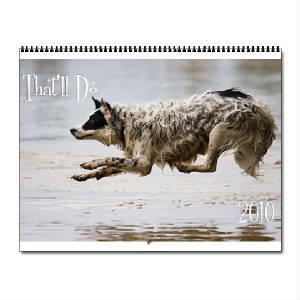 There are various degrees of ticking from just a few large spots to very heavy ticking which appears to be roan, similar to the Australian Cattle Dog, German Shorthaired Pointer, and many hounds. Ticking will dominate over clear white markings. 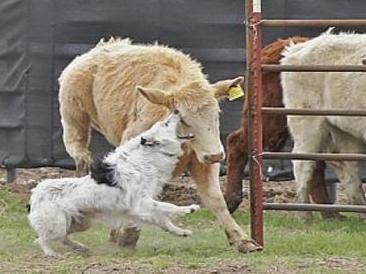 If you breed a ticked dog to a mate with the clear white, some of the pups will be ticked, some won't. You can tell when a puppy will be ticked as an adult, by looking at the newborn pups nose. If the pup is born with a solid or completely pigmented nose leather, the pup will be a ticked adult. Breeding two ticked mates together will produce a whole litter of ticked puppies. Ticking develops over time. 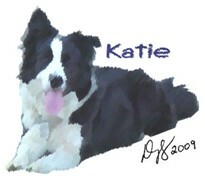 The extreme white patterned dogs in the pictures were non ticked white as pups. Every year they develop more and more spots. Ticking can also be called "Mottling". Some folks even refer to them as "freckles". 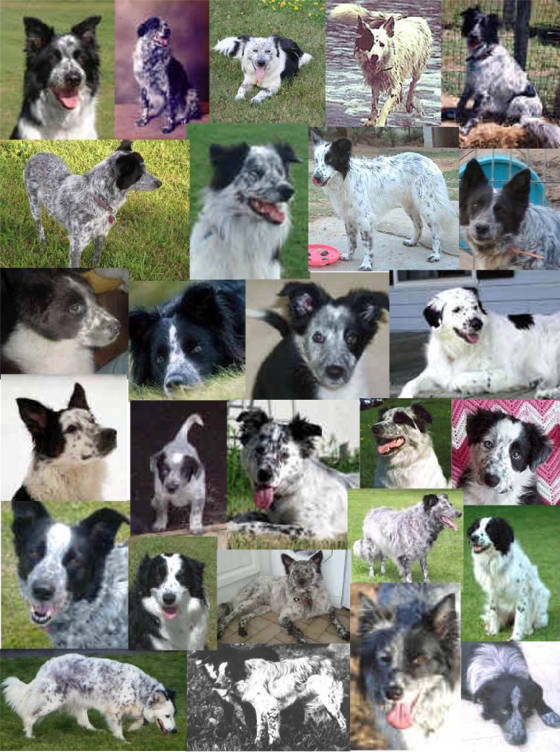 The photos below show border collies of different ages with different levels of ticking. Some are heavily ticked, while others are not. These two pups of mine look like they will be lightly ticked, probably about the same as Oaktree Sam (above).